By perseverance and diligence it was shown that garbage could indeed become a resource. This was not only for the ragpickers who rummaged in it for useful material but for other too if only they would look at garbage, analyse its components and separate the worthwhile components from the useless material. 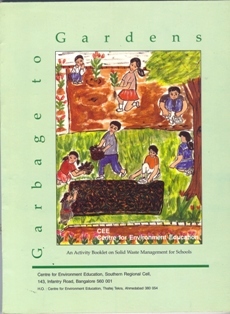 CEE’s publication ‘Garbage to Gardens’ puts forth ideas and activities for solid waste management and recycling. It also cites few action programmes which could be taken up by the children, in the class, school and neighbourhood with guidance from seniors. Are all deserts hot and covered with sand dunes? Where are all the deserts of the world? What causes a desert? Can animals and plants survive in deserts? How important are deserts and drylands for humans? Does desertification mean spreading of existing deserts? These are some of the questions which reflect the many different perceptions about deserts and drylands. Deserts/arid areas of the world are fragile ecosystems and they support vast human population, livestock, and a range of plants and animals. Deserts plants and animals have devised ingenuous ways to overcome the extreme climatic conditions. Deserts have contributed extensively to global culture, traditional and modern. Three of the major world religions; Christianity, Judaism, and Islam have their origins in the deserts of West Asia. Deserts and arid areas have vast mineral riches which includes petroleum! CEE's Publication, NatureScope India: Discovering Deserts, explores and explains several dimensions of Deserts, Drylands, and Desertification. Discovering Deserts is a comprehensive one-book library with information and hand-on activities to help upper primary and secondary school teachers and students take a close look and understand deserts and drylands. Discovering Deserts, is the second in the Exploring Ecosystems Series of NatureScope India. Tiger symbolizes the wilderness and the well being of our ecosystem. The combination of grace, strength, agility and enormous power has earned the tiger its pride of place as the national animal of India. The tiger also has scientific, economic, aesthetic, cultural and ecological values. A healthy tiger population signifies a healthy ecosystem, with its diverse flora and fauna. Protection, wildlife management, eliciting public support by fostering awareness among all stakeholders, including the people who co-inhabit tiger land and the people who buy tiger body parts and derivatives, are some of the important components of tiger conservation. CEE, with support from the Directorate of Project Tiger, has developed ‘Tales of the Tiger', an information and activity manual for school teachers to help them communicate facts and issues related to tigers in a simple yet effective manner. The publication has been developed in Hindi as well as English. The topics in the manual cover a wide range of objectives – starting with creating an awareness of a tiger's form and features; the adaptations that help it survive and be the top predator in its habitat; developing an appreciation of the important and varied roles played by tigers in the natural environment as well as in culture and traditions; to an understanding of the factors that threaten the existence of wild tigers and the steps being taken to save them. The publication will be available after it has been formally launched. The Gulf of Mannar Biosphere Reserve is the first place in the entire South East Asia to earn the status of “World Biosphere Reserve” owing to its rich and varied marine ecosystems and biodiversity. Unfortunately, today this region is highly degraded, and the ecosystems and the biodiversity in it are endangered. Although several factors are assigned as reasons responsible for the current state, the bottom-line fact behind all this is the ignorance and lack of awareness among the people. In an effort to support the conservation of the biodiversity and to facilitate sustainable development in the region, the Tamil Nadu State Office of the Centre for Environment Education, in association with the Gulf of Mannar Biosphere Reserve Trust, initiated a unique programme called Environmental Education in Gulf of Mannar in the year 2005. This tailor-made environmental education programme is especially for the schools along the coast of Gulf of Mannar. As a part of this effort, the Centre has developed a special environmental education package for the students and teachers. This includes an Ocean's Passport for Students, a teacher's manual, posters etc. The latest to be added to this package is "Azhi Pudaiyal”, a Teacher's Manual. This manual is designed to serve as a "one-book-library" and provides all the basic information about the Gulf of Mannar region in the local language. Each chapter covers a specific aspect of the region, which is followed by a set of hands-on activities that allow the teachers to share the concepts through active teaching-learning approaches. The activities and projects suggested in the manual include rallies, beach combing, campaigns, camping activities, visit to the mangroves, reefs, museums, etc. They strive to ensure students' participation and attempt to build a sense of stewardship for the Biosphere Reserve in students. Each activity begins with a brief note, which gives the background and basic information related to the activity or its theme. It explains the salient features of concept and provides additional information to generate discussion on the theme. The teachers can use it either as an introduction to the activity or the discussions following it. The manual also indicates the standards for which the activity may be suited/linked to the curriculum, with freedom for teachers to be the best judge to decide which activities are best suited to the level of students and the topics that they are teaching. It is hoped that this project will help to create educational material and methodologies to address the need for education on the Gulf of Mannar World Biosphere Reserve. In recent times, there is an increasing awareness about the effects of chemicals on our environment. The impact of the use of pesticides on drinking water and food production has become a social concern. There is a search world over for alternatives to chemical pesticides. Yet, in India, ignorance about pesticides is widespread, and administrative and legislative lacunae have aggravated the situation. This concise booklet is intended to create public awareness about aspects of pesticide use in India. It highlights the importance of organic methods of pest control. It provides extensive information on the various physical, cultural and biological methods of pest control. The preparation and use of various plant-based extracts as non-chemical alternatives has been discussed in detail. A list of suppliers of bioagents has also been provided. This booklet is a small step in the long and arduous process of helping to make our society and environment pesticide free. This booklet is one of the latest in the Environment and Development Book Series, brought out by Media for Sustainable, a unit of CEE, and supported by Swiss Agency for Development and Cooperation (SDC). It is now widely recognized that agriculture can benefit when indigenous technical knowledge of farmers or ITK is reclaimed and integrated with modern farming practices. ITK is derived from local culture, traditions and long term human interaction with the environment. It needs both documentation and conscious promotion for a more sustainability oriented perspective in agriculture. This book brings together some of the farming practices and the traditional knowledge on which they are based, in the North Malabar region, comprising of Kannur and Kasargod districts of Kerala. This includes many of the farming rituals performed at various stages of crop growth. The booklet also elucidates the cultivation methods of various crops including rice, coconut, rubber, fruit crops, and spices, with special emphasis on their medicinal values. This book is one of the latest in the Environment and Development Book Series, brought out by Media for Sustainable, a unit of CEE, and supported by Swiss Agency for Development and Cooperation (SDC). The Design Studio also has staff with expertise in EE research, writing, design, fabrication, installation and community education. Green Revolution Technologies have made India self-sufficient in food production but unable to sustain soil productivity. A quantum leap in production of over 100 million tones was achieved in just two decades (1960-1970). But during the 1980s and 1990s, it was a struggle to add on another 10 million tones despite good monsoons and the increasing supply of inputs of fertilizers, high yielding seeds, pesticides as well as water through irrigation. High costs of inputs have turned farming into a loss making enterprise while leading to severe environmental degradation. In this book, the author argues that organic farming is environmentally sound and economically viable for small and marginal farmers. Market prospects for organic products, both at the national and international level are discussed, with special emphasis on the accreditation process. The book highlights organic farming policy, organic standards and Government initiatives for the betterment of farmers. Rural poverty and the depletion of natural resources are trapped in a vicious circle. Environmental damage directly affects the rural poor because they mostly depend on natural resources for their livelihoods. To break this vicious circle it is necessary to strengthen livelihoods for sustainable development. Livelihood security of the rural poor requires the sustainable usages of natural resources, and the introduction of viable alternative livelihoods. To enable people to make informed choices on their livelihood practices an integral approach is needed, that combines innovative and appropriate techniques, the modification of current practices, and capacity building and education. This handbook has grown out of the field experiences of the Rural Programs Group (RPG) of CEE in Gujarat, brings together the experiences of various NGOs working on rural livelihoods in semi-arid areas. There are more than 60 options described have been selected from the projects of CEE and various other NGOs working in rural areas of Gujarat and Rajasthan. The focus is on livelihood security in semi-arid regions, but many of the examples will also be applicable for other regions with a similar vulnerability context. This handbook draws on their field experiences to provide guidelines for selecting and implementing livelihood interventions. It describes practical example of activities and approaches for promoting sustainable livelihoods, while also giving an overview of the theoretical debate on livelihoods for sustainable development. The 62 livelihood options describe the Small Steps that can be taken by rural farmers, animal rearers, entrepreneurs, to enable them to take a Big Leap towards strengthening their livelihoods. The examples of livelihood interventions in this handbook integrate ecological, social and economic sustainability into rural development. Sustainability is integrated into rural livelihood programs both as a working method and as an intrinsic goal. The objective of this handbook is to draw lessons from these examples; to create a set of tools, recommendations and guidelines that can be applied in various contexts. The aim is to provide NGOs, community organizations and policy makers with the input to make a livelihood analysis and to choose options for strengthening sustainable livelihoods. The book provides information on what natural, social and financial resources are required to start activities. The options for strengthening livelihoods encompass a wide variety of activities, approaches and concepts. Some of these options can be implemented as an activity, while others are described as approaches to sustainable livelihoods. The required input and the expected output are also described, and where possible, the estimated input cost for implementing a livelihood option is being provided. The costs are a rough indication, based on information for the year 2005. This publication is for teachers of Classes VI, VII and VIII. The Handbook is based on the Environment Education (EE) syllabus prepared by NCERT in response to the Honourable Supreme Court's Directive. In the year 2003, the Honourable Supreme Court of India directed that Environmental Education should be taught as a compulsory subject at all levels of education. The model EE syllabus developed by NCERT provides the framework for EE to be transacted in all schools in the country. For easy use, the NCERT syllabus for this level has been grouped into eight Organizing Themes-Environment, Natural Resources, Energy, Waste, Pollution, Natural Resources: Use and Overuse, Disasters, and Taking Action. The idea behind weaving the contents of the syllabus around these themes was to facilitate the teacher to introduce these themes in a graded manner, with varying complexity, in these three standards. The organizing themes are presented as Units. 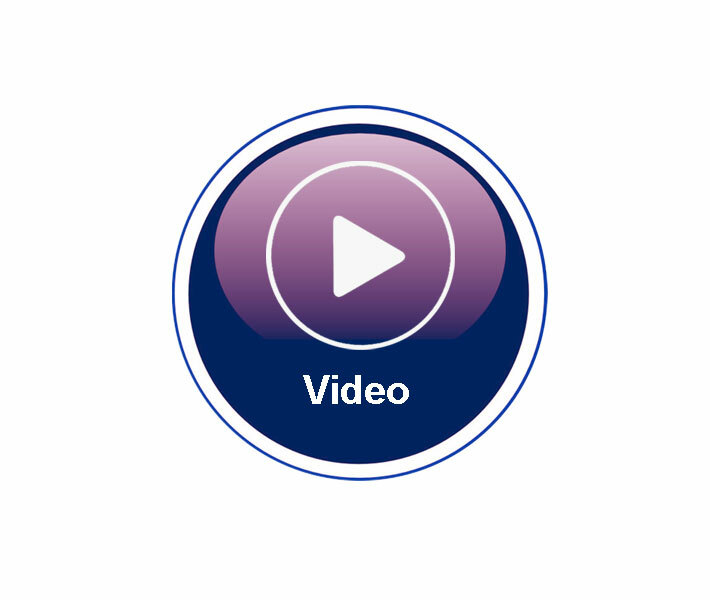 Each Unit opens with the Syllabus links pertaining to the theme and the Expected Learning Outcomes of the unit. This is followed by Information and Activities/ Projects. This Handbook attempts to provide opportunities to realize the philosophical underpinnings of the new EE syllabus. It has been developed with support from the Ministry of Human Resource Development (MHRD) under the Environmental Orientation to School Education (EOSE) scheme. Joy of Learning (JOL), CEE's flagship publication series for teachers, has the third volume (JOL III) added to it. JOL handbooks are based on the belief that opportunities for learning exist everywhere, and demonstrate how these can be maximized. JOL III is for standards 9-11. It includes 47 activities that encourage students to question, investigate, collect and organize information about environment and scientific phenomenon, objects, events, relationships; understanding societal values, recognizing rights and responsibilities, consequences of issues related to water, health and nutrition, population, biodiversity, disasters, sustainable development, etc. The JOL journey began back in 1986, when the National Council of Educational Research and Training (NCERT) recognized the efficacy of activity-based approach to learning. It requested CEE to develop material emphasizing this approach, for its massive teacher training programme. The tight deadline, within which material needed be developed, necessitated an intensive effort – bringing together, in a workshop, some of the groups working in the field of science, health and environmental education, and having some experience in activity-based teaching and learning. Thus arrived JOL I for standards 3-5. Many excellent activities which the workshop had generated and which did not go into JOL I, were subsequently included in the second volume JOL II, for standards 6-8. This was published exactly 10 years later in 1996. JOL I & II continue to be reprinted, and used across India and in other countries of the South Asian region, in their original or translated versions. Today, JOL I is available in 16 languages. JOL III is a collaborative effort of CEE and VASCSC (Vikram A. Sarabhai Community Science Centre). It is the continuing reaffirmation of the belief that teaching and learning should be a joyful experience for the teacher and the learner, and the JOL handbooks could aid that experience. 'A Trip with the Drip - The Water Drop', a workbook in English and in French, an interactive CD and a web version of the CD have been designed and developed by CEE for UNEP. These books and the CD were launched at the 2005 Children's World Summit for the Environment held in Aichi, Japan during 26-29 July, 2005. The Summit was organized by the United Nations Environment Programme (UNEP) and Japan Organizing Committee for the 2005 Children's World Summit for the Environment (JOC). 850 children and their chaperones from 65 countries attended this event. In addition to plenary sessions, several workshops were held. The colourful workbook and CD contain basic facts, interesting information, and several "learning by doing" activities on various aspects of water. The package communicates both the quantity and quality aspects of water that are of immediate concern to all. More importantly, it carries the message that every one of us - old or young, can play a role in conserving this precious resource. The web version will be available on the UNEP website. The package is based on CEE's fundamental premise that environmental issues are best taught and learnt by experience and through activities. It puts its faith in children as the best ambassadors for a Green Future for our planet. And above all, it believes that even small actions can make a difference towards improving and protecting the environment. This publication aimed at reaching out to rural communities, the complex issues determining a variety of socio-ecological systems, in an easy to understand and simple conversational language. The book has been developed through a team led by Prof. P.S. Ramakrishnan of Jawaharlal Nehru University, New Delhi. Published by the Oxford and IBH, the book takes the reader through an ecological journey in the area of sustainable natural resource management linked with livelihood concerns of rural communities in general, and traditional societies living in biodiversity-rich regions of the developing tropics in particular. The book covers various facets of natural resources conservation ranging from biodiversity conservation, water and soil conservation, and traditional life styles, Livelihood etc through a dialogue between 'Traditional Knowledge' (TK) and 'Formal knowledge' (FK) systems targeted at a range of audience - village communities, students at varied levels, educated public, policy planners and developmental agencies. Butterflies fascinate young and old alike. While silently flitting around, they tell us how the rest of the nature is doing. This teaching and learning manual tells the ancient story of butterflies and their interactions with plants, which are the most common in the ecological world. This resource material is organized into two sections. Section I gives information related to different aspects of butterflies, followed by activities related to each aspect. The activities are designed to better explain concepts and to encourage maximum participation by students. Each activity indicates levels for which it best suits and the subject area in which it can be taken up (it need not be only the biology teacher who tells about butterflies), the time required and other information to aid the teacher in carrying out the activity. This manual also doubles as an identification and observation guide (with specific reference to butterflies and host plants of Goa). The colour plates at the end of Section I and the description of butterflies and host plants will help initiate students into butterfly watching. Section II describes the identifying features of butterflies and host plants found in Goa. The aim of this book is to spark an interest in butterflies, provide information to support observations and sensitize students to the threats butterflies face today due to the actions of humans. The manual also suggests some responsive and proactive measures that we can take as individuals to protect and conserve these winged wonders.